Do you have what it takes to bring this home? 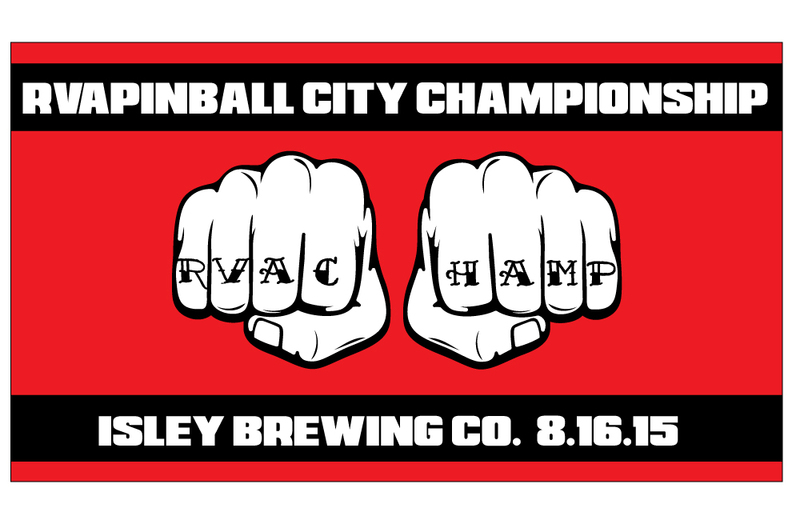 Join us on 8/16 at The Isley Brewing Company for the RVAPinball City Champoinships. 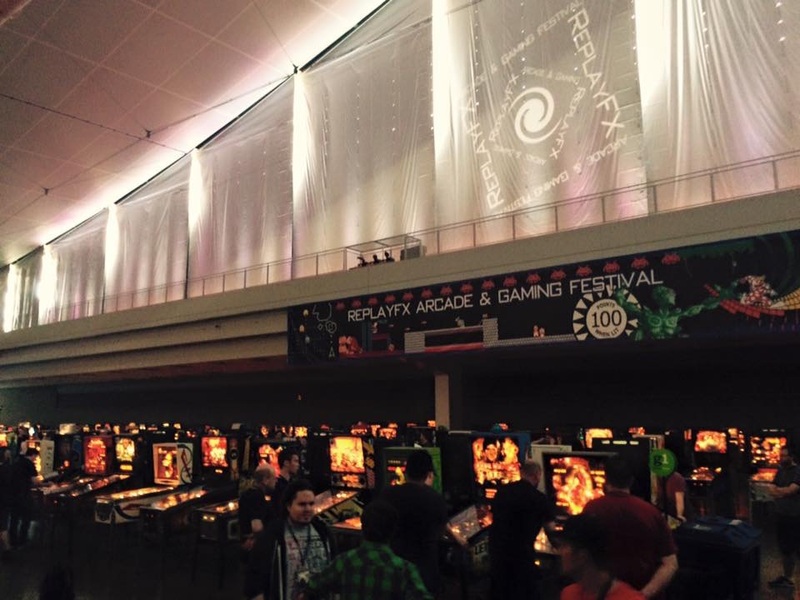 This past weekend was the first ReplayFx in Pittsburgh, PA at the convention center downtown. ReplayFx was run by PAPA.org and added video games and console gaming, among other things, to their usual pinball offerings. 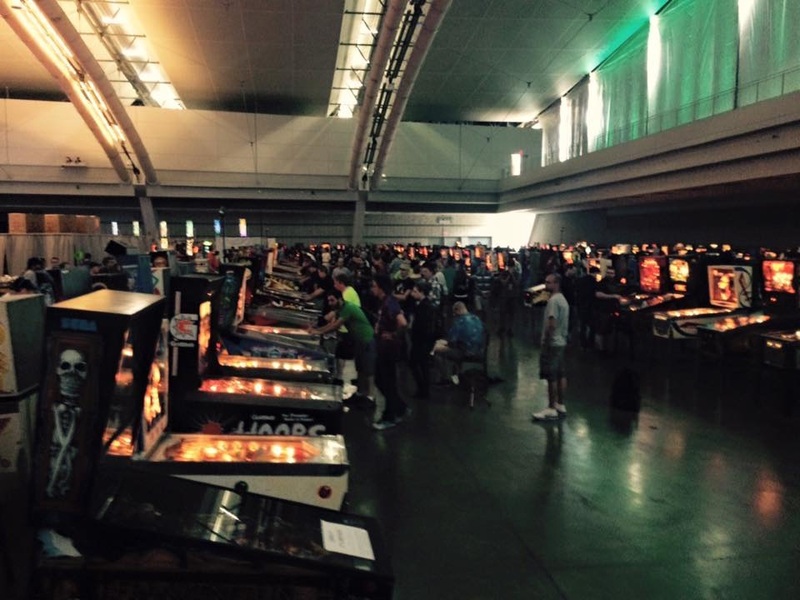 Pinburgh, the annual match play PAPA tournament, was held as part of ReplayFx. This involved moving all of the pinball machines from the PAPA facility to the convention center. This must have been a tremendous undertaking as the posts on social media showed that they only had a few days at the convention center to set up what I think was five hundred or more machines. Pinburgh consists of ten rounds in which you are matched with four other players and sent out to play on a bank of four machines. Each bank has an electro mechanical machine, a modern DMD machine and two earlier solid state machines. During the first five rounds on the first day, you accumulate points to determine whether you qualify in a, b, c or d division for the second five rounds which are played on the second day. At the end of the second five rounds, the top 40 from each division compete in playoff rounds to determine the champion of each division. I qualified for b divison, but did not make the b divison playoffs. I was pleased with this finish as it was an increase over my d division qualifying th year before at my first Pinburgh. On the morning of the third day, there was a consolation tournament for those of us who didn’t qualify for the playoff rounds. I entered this tournament with more than 200 or my fellow losers. This tournament had groups of three playing on one machine. Once you lost twice, you were out. I lost my first game, but went on a run and ended up in a tie for fourth place. I won a certificate for $25 worth of a ReplayFx clothing. ReplayFx had much more than pinball. As my friend Taylor said, at least there are lots of things to do here instead of moping around about how bad we are playing. I entered the blindfold Donkey Kong contest in which the players took on the first level of Donkey Kong II. The partner at the controls was blindfolded and the other partner give him directions on how to move. I had a great partner and we practiced as much as we were allowed. When the competition started, there was a four way tie. We pulled out the win for a $100 check and a certificate for $25 worth of ReplayFx clothing. The experience was fantastic and I recommend it to anyone who can make the time to travel to Pittsburgh for the first weekend in August. There is more to tell from ReplayFx which I will have in upcoming posts. RVA Magazine published a great article about RVAPinball and the upcoming RVA City Championship at Isley Brewing. 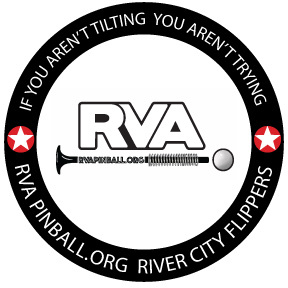 RVAPinball will hold its second tournament on August 16, 2015 at Isley Brewing Co. in Richmond, VA. 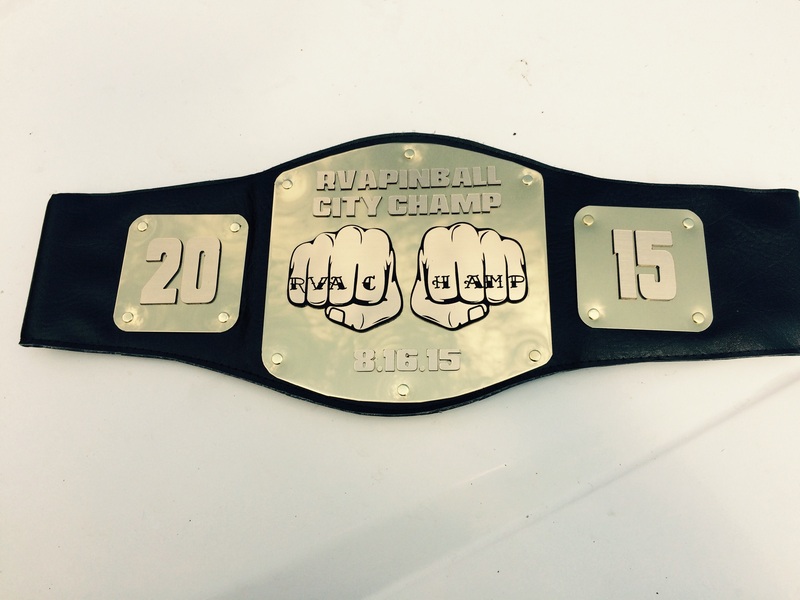 The First Annual RVAPinball City Championship is happening on August 16, 2015 from noon to six at Isley Brewing Company. Warmups will be from noon to one. Qualifying from one to five. Finals from five to six. Entries will be $5 for a qualifying entry of five games. The score per machine will be recorded with points granted for the player’s position among all scores per machine. At the end of qualifying, the top sixteen qualifiers will compete in a double elimination tournament to determine the RVAPinball City Champion. We will have event t-shirts available for pre-order. There will be prizes for first,second and third place. There will be drawings for other prizes. Entry fees will be donated to Rocks For Socks a non-profit organization dedicated to raising funds to provide new socks and underwear to the patients at the Remote Area Medical Clinic (RAM) Wise, VA.
IFPA points will be awarded pending IFPA approval of the event. Archer is an amazing cartoon and a group of guys are working to make it into an amazing pinball. The machine is the brain-child of Keith Elwin, probably the best competitive pinball player out there, and his brother Randy along with Mark Guidarelli. There are lots of home brew pinball projects out there with varying levels of builds and progress. The shot map and the video of this machine show that is it among the most polished of the current batch of homebrews and it looks to be among the most playable. There is no mention of whether or not they are going to try to leap the hurdles necessary to obtain the license and manufacture the machine. For now, we can just enjoy the progress being made and hope that it will one day be playable at shows or maybe available for purchase. We are printing RVAPinball t-shirts. They are white 100% cotton Hanes Beefy Ts with the RVAPinball logo on the front in black and red. Click to order – please add a note with the size you are ordering. I went to Bailey’s restaurant today and found that the largest pinball location in Richmond, three machines, was no longer a pinball location. This followed the two machines at the Bailey’s on the other side of town being removed. Both of these locations were operated by a good operator who has a years and years of experience as an operator. The operator has found a new location for one of the machines, Star Trek, which has been joined by joined an Elvis machine at a restaurant called The Pour House. There are rumors that the operator is in talks to move to another location where he would place as many as six machines. At this point, hope springs eternal as we wait for a location that has more than two machines.